The decision to cargo or not to cargo can be so complicated! 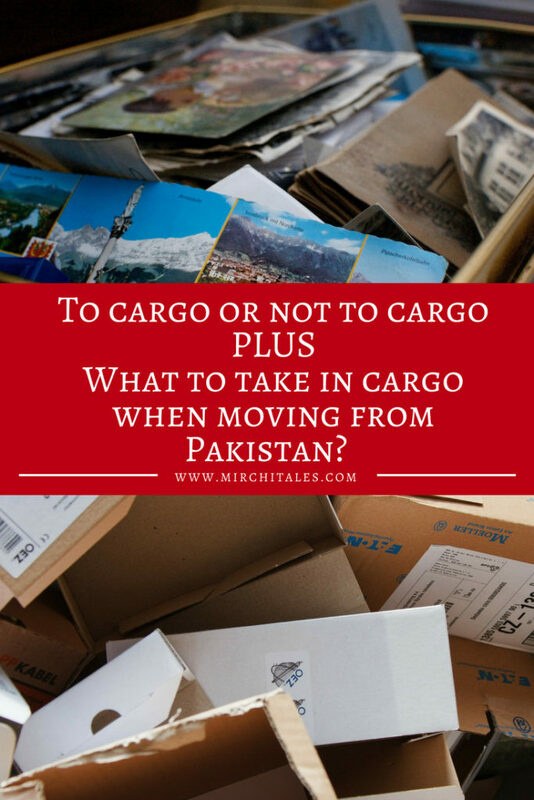 Read on to find a guideline to help you decide what to take in cargo when moving from Pakistan to another country, and the lessons I learned when I sent a cargo shipment from Pakistan to Australia. Moving to another country is tough, with packing being one of the most difficult tasks on the to-do list! The thing that stressed me the most about coming to Sydney was how would I fit my life in one (yes, just one!) 30 kg suitcase. Clothes, shoes, handbags and make-up but also documents (extremely essential) and memories (pictures, albums, books and the like). Haven’t even started on the household stuff, and the suitcase is full. That’s where cargo comes in. The decision on whether to go for cargo and what to cargo varies from person to person. Some people get all their stuff, even furniture sent via cargo and some people take nothing. I can’t make a concrete decision on whether you should use a cargo company, but I can give you pointers on what helped me decide what to take, and the lessons that I learnt. Though my personal experience is about Australia, the guidelines apply when making any international move. Be it from Pakistan to Australia, Pakistan to USA, Pakistan to UAE, and even the other way around when moving from let’s say Dubai to Pakistan. Start with finding out exactly what options are available, how much they cost and the time it will take for them to arrive. The first option is excess baggage purchased from the airline directly. All airlines allow a certain number of pieces, but beyond that more suitcases or weight can be purchased. It’s cheaper when purchased online versus at the airport and can also be redeemed through airline miles also. Rates depend on the airline and the route taken. The second option is ship cargo, which requires one to book a minimum container size, and is useful when people want to ship heavy items like furniture, books or more. It takes time and though the total cost is high, per kg cost will be less. The third option is air cargo, which is cargo transported by air taking less time, but can be more expensive on a per kg basis. This service is offered by the local postal service (Pakistan Post), by logistic companies (like DHL, TCS, FedEx) and shipping providers (like Skynet). Rates, shipment duration and service quality depends from provider to provider. Certain cargo companies deliver cargo from port to port, which means it will be delivered to the port in the foreign country, and then needs to be collected from there before bringing it home. Port to port is cheaper, but getting the cargo from the port can require time and additional money (for custom clearance and home delivery). Door to door is usually more expensive but eliminates the hassle of collecting for the port. In my personal case, I decided to go with air cargo via Skynet. Ship cargo did not make sense for me as I only wanted to send household essentials and clothes (no furniture), and Skynet provided a good per kg rate with delivery within a week. Every country has regulations on what they allow in cargo, and this will differ from what is allowed in luggage. Food items and liquids are generally not allowed in cargo but can be taken in luggage. Australia has one of the strictest border control and quarantine policies so no items with mud/dirt on them and declaration of wooden items is necessary so they can be checked for contamination. Cargo companies also have their own policies regarding what can be taken, with some refusing to take fragile items or electronic items. Make sure to ask beforehand to avoid issues at the time of packing. Take a paper or open an Excel document, and start listing down all the things you think you will need abroad; of things needed to setup a house, and your personal items. Mark the items that you are going to take from Pakistan, and things you will buy from there. Divide into things that are essential and things that are good to have. Keep deleting/adding items till you have a final list for your cargo shipment from Pakistan. Here’s a list of the basics (excluding furniture) that is important for setting up a house. It is NOT a list of what to cargo, but a guideline to decide what to cargo and what can be purchased there. Linen – Bedsheets, pillow cases and towels. Two per person in case one set goes for laundry. Be sure to confirm the bed-sheet size (king, queen and/or single). Quilt covers and/or blankets if moving to a colder climate. Kitchen basics – Set of pots (of the right size), frying pan, saucepan, knives, peeler, can-opener, mortar & pestle, whisk, chopping boards. Desi kitchen basics – Tawa, chimta/tongs, channi/tea strainer, chakla bailan/rolling pin and base and karahi. Dining basics – Flat plates, deep/soup plates, bowls, mugs and containers for serving food. Spoons, forks, knifes and serving spoons. Appliances – Spice grinder, immersion blender, food processor, blender, electric kettle, microwave, toaster and electric whisk. Be sure to check voltage requirements. 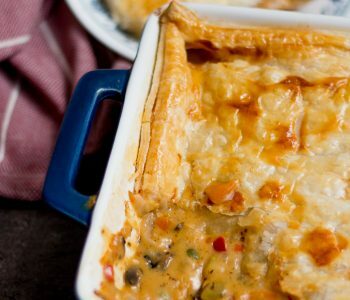 Baking – Baking tray, casserole dishes, cake pan and loaf pan. It’s difficult to make a similar list for what to take on a personal level, but below is a guideline that can be followed. Sort items into take, keep in storage, and giveaway/discard piles: Giveaway the clothes (same goes for accessories & personal care items) that you don’t use, store items that you wear frequently (such as formal clothes), and take the essentials needed for life there. Focus on taking basic items that can be mixed and matched to create multiple outfits. For instance, blue jeans, white trousers and black pants are far more useful than taking a variety of colourful bottoms. Pick items based on country requirements: Every country has clothing requirements based on the weather and lifestyle there, thus it’s important to take items that will function in that climate & environment. For instance, my sandals/heels are in storage because the walking required in Australia requires me to wear sneakers all the time. Sydney also gets pretty chilly, and the moment Autumn started I needed a jacket. If you have country relevant clothing, bring it otherwise best to shop after you move. Simply because a country that experiences winter weather is going to have better quality and variety compared to well Karachi. Eastern versus western: Deciding whether to take Desi clothes and accessories aboard depends on where you are going, the Desi community there, and personal choice. Bring at least a few, especially for occasions like Eid. Try to get items that can be mixed and matched with other items so that you get more wear out of them. Skincare & make-up: If there’s a strict skincare regime that you follow, take it with you. Same goes for make-up because building up a new collection from scratch will cost money. Keep space for memorabilia: There will always be certain items that are significant due to the memories attached to them. Could be a favourite mug, photo albums with family pictures, a hand-written card, and a hand-crafted album by college friends. Sort, and keep the important stuff while giving away the rest. I couldn’t leave my collection of cookbooks so I took my most favourite while selling/giving away the rest. Thanks to globalisation, items are available pretty much anywhere in the world, but availability and prices will differ. Do a Google search to find out names of store outlets, and check out the website to find out not just the prices but what is available, and in what style. Compare local prices with international prices, keeping in mind that cargo is charged by weight, so the heavier the item, the more it will cost to ship. There are certain items that you can’t or don’t want to send via cargo. For instance, I took my skincare and make-up items in my suitcase, along with a few hand-crafted items that I kept in my hand-carry. Same for jewellery, documents, and clothing basics. By doing a draft packing of my suitcase, I was able to see how much extra space I had left. If you are cargoing stuff abroad, take only what you have in the house already. Don’t buy new stuff, unless you are absolutely sure that you need it. If you need to buy new stuff, it’s best to buy it there only. Even if it costs a few dollars extra, at least you can be absolutely sure that it will fit the house aesthetic. Yes! That’s how my cargo arrived even though I had packed them properly. Be careful in packing! I had planned on taking a few things only, but the final cargo shipment turned out to be a little more than expected. I don’t regret my decision on getting the cargo done, but here are some lessons that I learned. It was a good idea to have the basics sent via cargo because it meant that I didn’t to start shopping the moment I got here, which is not only an extra expense but also stressful and time-consuming. 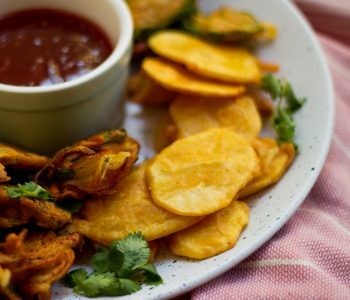 If there’s a Desi item that you use regularly in your house, it’s best to take it because it may not be available in a non-Desi country. For instance, I have looked all over Sydney for a Desi chimta, and I am unable to find it. Hosting a garage sale. I tried selling items multiple times during a six month duration, even holding a proper garage sale. I was able to clear out quite a lot of my stuff, earn extra cash, and reduce my cargo list. Do the packing yourself making sure to use lots of packing material, especially with breakable items. 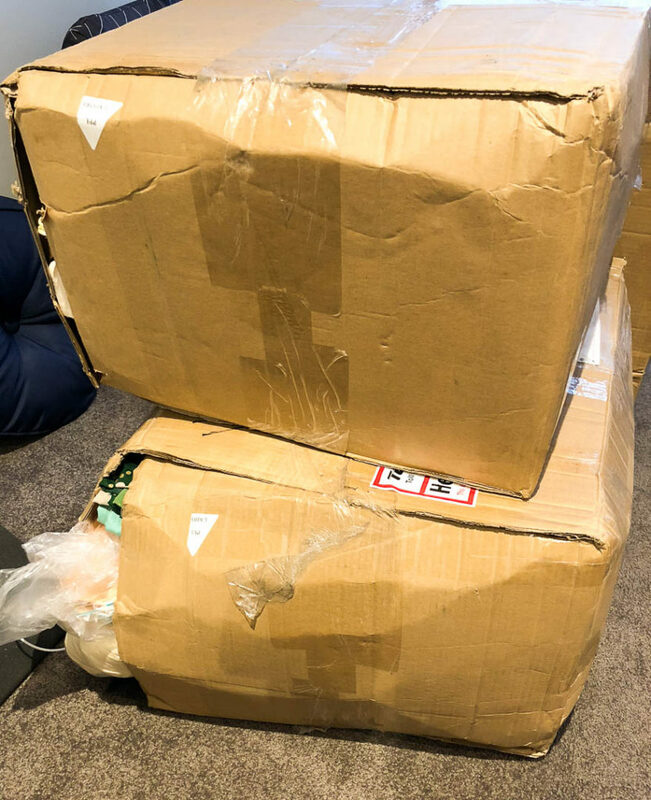 A few of my items broke, but the majority of my stuff arrived safely. I was quite lucky in that regard, but I know of others who have experienced quite a bit of breakage. Home décor items are unnecessary when setting up a house in the beginning. As pretty as they look, my cushion covers and floor cushions are packed in a suitcase. Apartment size is very important. Houses in Pakistan are generally much bigger than apartments abroad, especially when one is starting out. I had bought king size sheets but we ended up buying a queen size bed here since there just isn’t enough space. I now need to fold a lot of fabric when making the bed. Similarly, I had bought a table cloth for a setting of 6, and well, we have a table that’s just enough for 2 people. Send cargo in portions. I had to either sell/giveaway my stuff or take it with me as I had no place to keep it in Karachi. But if I had the option, I would have taken the bare basics, and then asked my mother to cargo the rest once I had seen the apartment and could assess what I needed. Keep a track on the cargo delivery. Make sure to make a list of the stuff sent, have a copy of the receipt and the tracking number. Keep tracking the shipment for when it reaches the foreign country to when it will be released. I tracked the shipments online, and called up the logistic company, but my first shipment arrived with no prior notification. For the second shipment, I got a message that there was an error in the address, and delivery will be attempted another day. No details of when it will be delivered meaning that I had to be home the entire day. Have you ever done a cargo shipment? 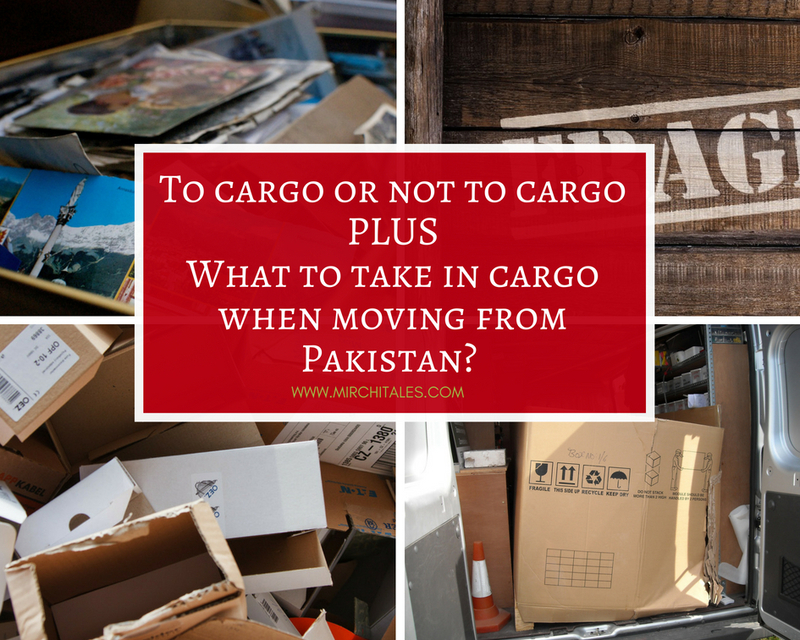 What did you take in cargo when moving from Pakistan? What were your thoughts on the experience? Do share them in the comments below. Photo Credit: Featured image collage pictures were taken from Pixabay and Canva (free license). Hello Hello! My name is Kiran. I am the owner behind MirchiTales, and as you can tell, I am a cat lover. 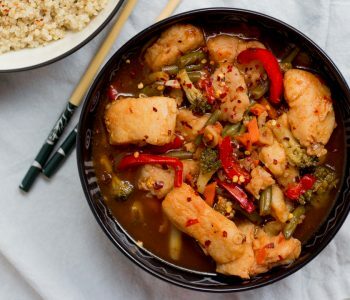 I am a marketer by profession, and a food blogger by accident. 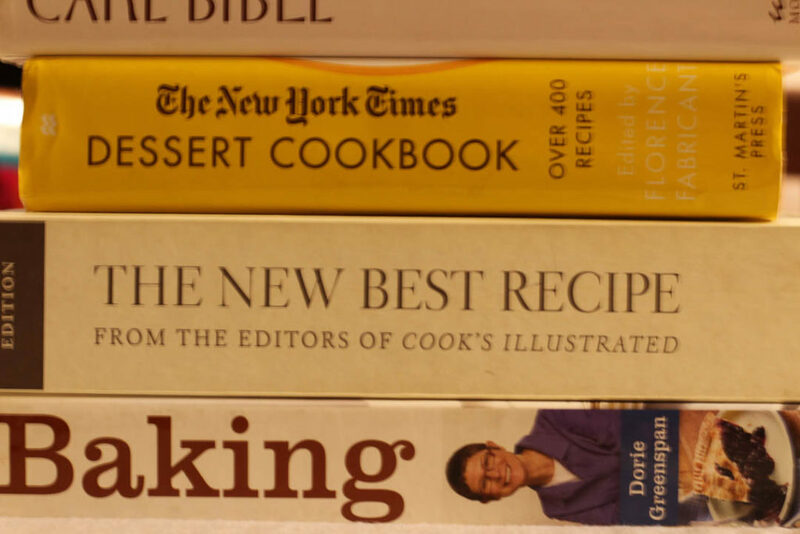 The many titles that have been applied to me over the years are food blogger, food writer, food producer, project manager and recipe developer.